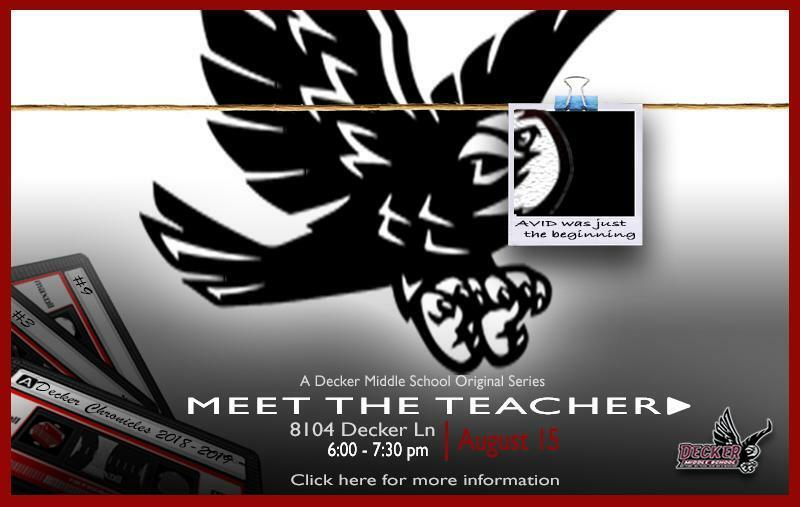 Come out on August 15th to meet the Decker Middle School teachers. The event will be at Decker Middle School from 6 - 7:30 pm and will not only be fun for the family but very informative as well. Meet all your child's teachers and take advantage of the opportunity to ask any questions you may have. For more information please contact the front office at 512-278-4630.